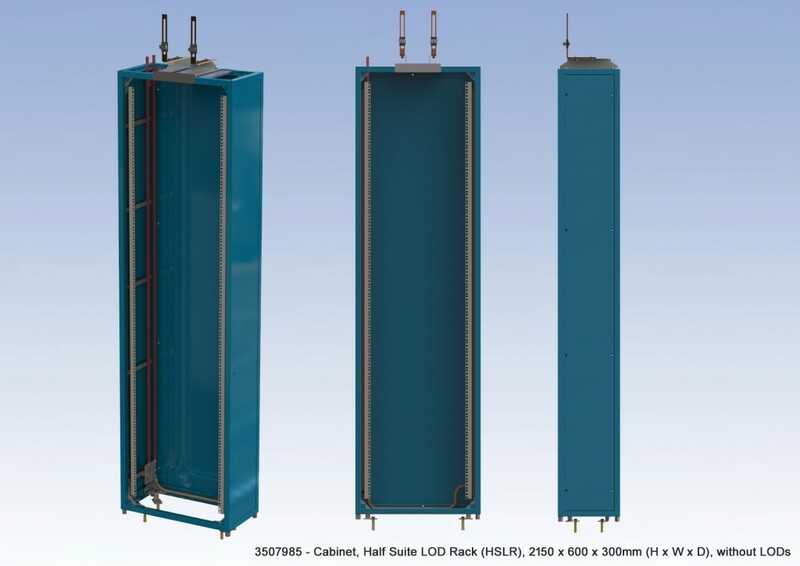 The Half Suite LOD Rack (HSLR) is specifically configured for installation of up to four 4 RU LOD panels. Top Panel with cut outs. High and low Super Structure mounting bracket kits with isolation medium. Surface Insulation Sticker Kit – Additional stickers should it become necessary to replace those covering screws or repair insulated surfaces.